Are you searching for a unique RV Park in BC? Welcome to Fort Greenwood RV Park. This BC RV Park is situated in the quaint and authentic Old West town of Greenwood BC; a mecca for history buffs and nature lovers alike. The turn of the century architecture and pristine environment with fresh water and acres of wilderness that surround Greenwood make this area one of BC’s best kept secrets. Fort Greenwood RV Resort offers the best of country living within proximity to the city. Golfing, skiing, miles of hiking, biking, horse and quad riding are nearby, the hospital is within 20 minutes, and world-class wineries, beaches, and the airport are just a 2-hour drive away. For everyone looking to spend time in a warm-hearted community with access to a variety of year-round outdoor activities, there is no better place to explore. 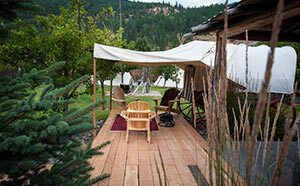 This is one of the best RV parks in BC. Our residents love it here, and while we could go on about all the great reasons why, here are just a few of the park’s features. Take a step back in time and enjoy life in Canada’s smallest city. In it’s heyday, Greenwood had 26 hotels, two newspapers, dance halls, saloons, ladies’ afternoon teas, and of course, a red light district. The city infrastructure was built to accommodate growth, but it all came to a halt 1917 when the price of metal fell and the smelter closed, and the local economy turned to ranching and agriculture. This rich history built a strong community foundation – and the community spirit lives on. 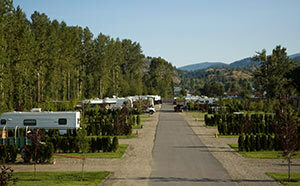 FOR MORE INFORMATION ON FORT GREENWOOD RV PARK & RESORT CALL US.